Pre and post-natal fitness is something I hear a lot about being a female Personal Trainer because getting pregnant and having a baby puts a huge toll on the female body and understandably women want to be in the best shape possible going into it and once the baby has arrived. 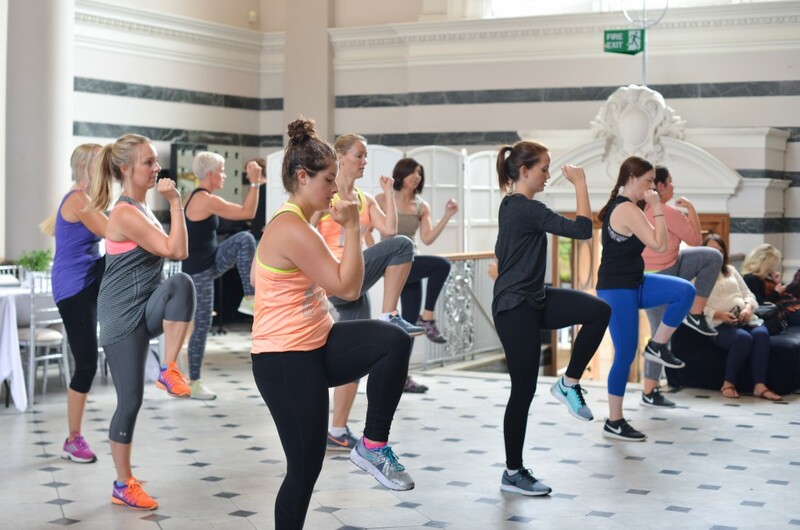 While I’m not yet a mum myself I do understand the struggles of getting fit again or even of getting fit for the first time which is common amongst soon-to-be and new mums. 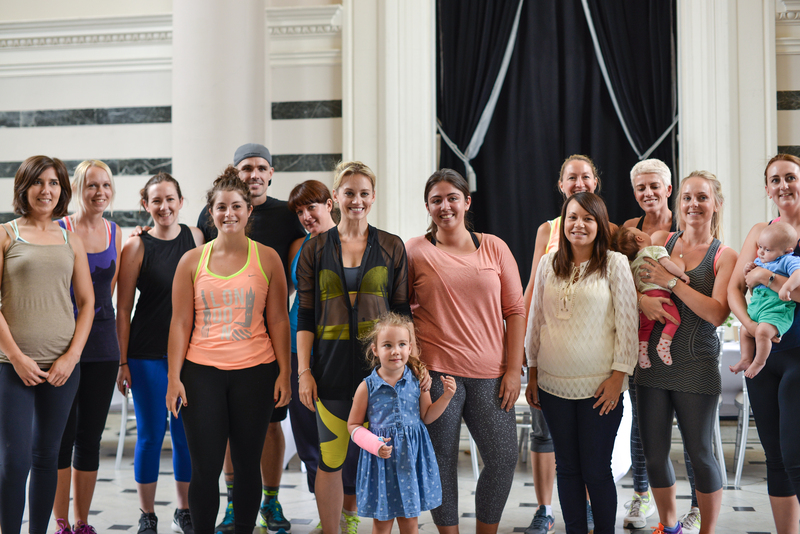 When I was invited to go to a fitness event for new mums I jumped at the chance to educate myself further on how to help this group of potential clients. 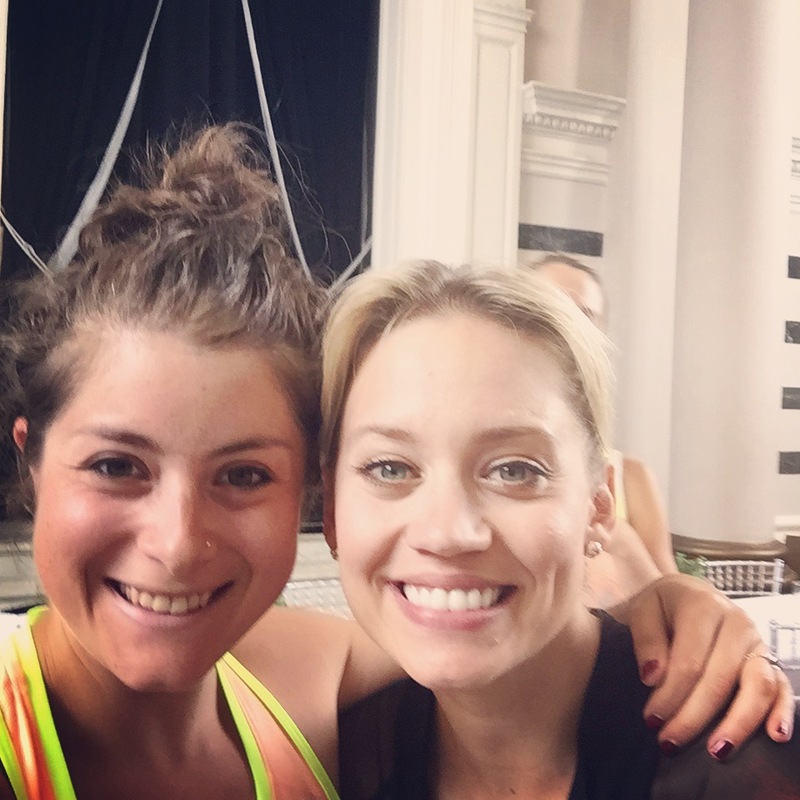 The event was run by Kiddicare and showcased Kimberly Wyatt’s Mums On A Mission 24 minute daily workouts that can be found on the Instructor Live platform (think Netflix but for workout videos). Each day you get sent a new workout so it never gets boring. You can see some of the moves in action here. 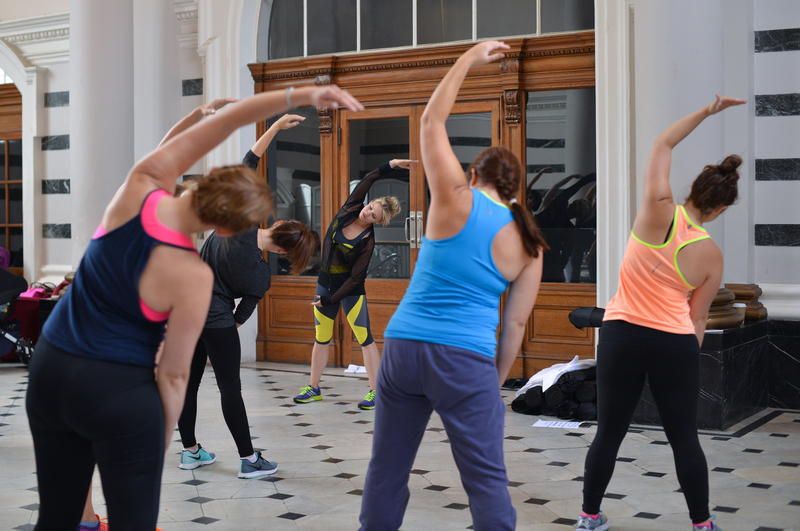 Warming up with Kimberly; that’s me in the orange top being not very flexible! Kimberly is a new mum herself (to the most gorgeous baby girl FYI…) so she devised this workout with her trainer to be something that new mums can do in a relatively short period of time at home and get back into shape without spending hours slogging it out in the gym. We had the opportunity to try out one of the workouts and seeing as Kimberly’s background is in dance (she was a Pussycat Doll dontcha’ know?) the moves are dance-focused but very easy for anyone to pick up who isn’t dancey. Like me. There were 8 moves, each of which you perform for 40 seconds with 20 seconds rest before the next one starts. Then once you’ve performed each move once, you rest for 45 seconds before doing the whole thing again and again until you’ve done each move 4 times. Then you collapse in a sweaty puddle. Although it was less intense than most workouts I do I still got a serious sweat on and could feel my muscles working. For women who are new to fitness but trying to get fit in order to help their chances getting pregnant or for new mums who might be nervous about moving again, this is a great low-intensity workout that works the whole body. If something like this is daunting try Kiddicare’s tips for new mums getting back into fitness including which buggies are best if you want to power walk or jog with your baby and what kit you might need to get moving again. Disclaimer: I was invited to this event for free and received workout kit from Sportshoes.com in return for a review. All views and thoughts are, as always, my own.